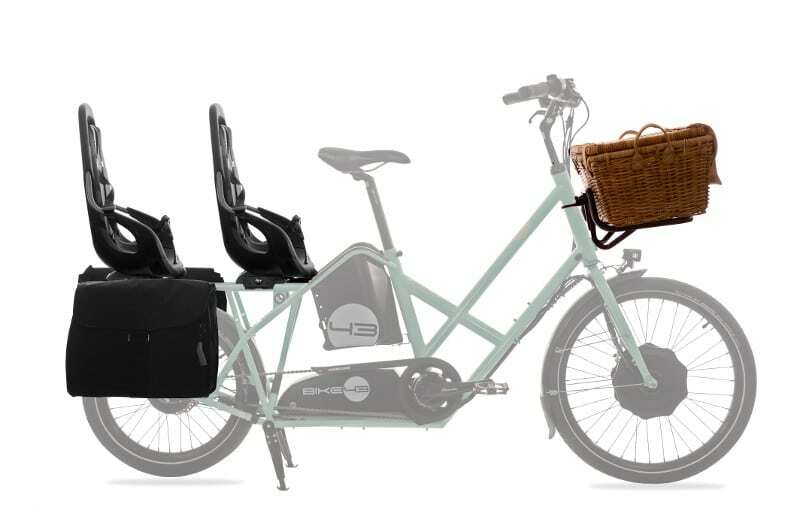 We wanted to keep the agility and the riding pleasure of a normal bike, even when carrying our kids. 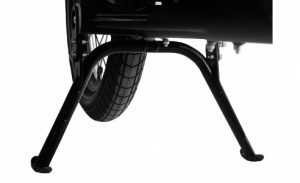 So we designed the Bike43. Thanks to the most modern technologies it accelerates, turns and brakes like normal even with two kids at the back and groceries. 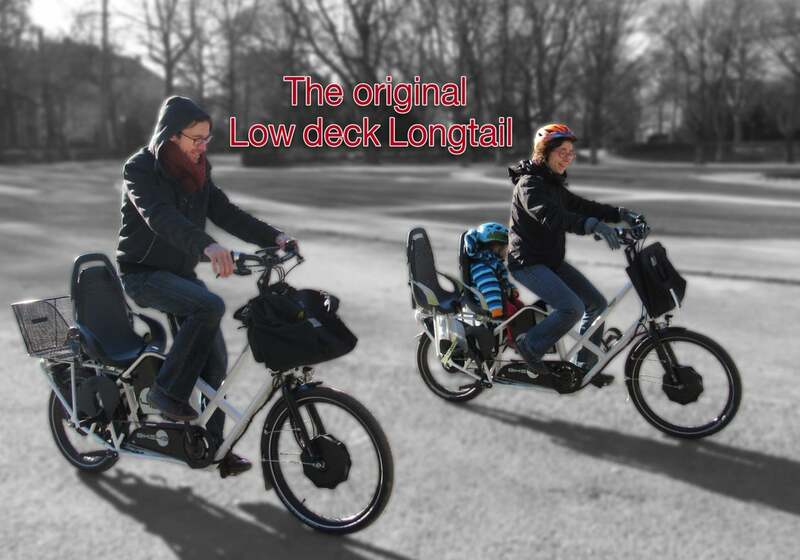 It is compact thanks to the unique Footbox System, it parks and stores as easily as a conventional ebike. 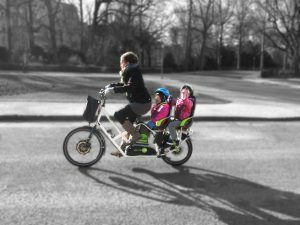 We’ve been astonished not to feel the weight of the children at the back, neither in terms of riding effort nor in terms of balance and stability. 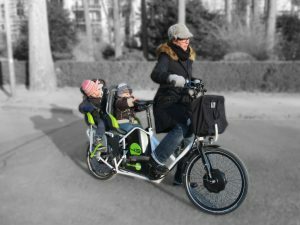 The Bike43 makes bicycle journeys very easy with the family. 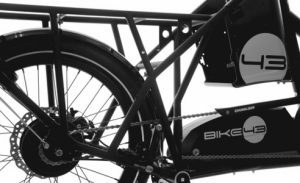 Bike43 reinvents the urban mobility. 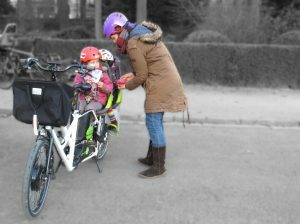 […] handy compact cargobike […] ideal to carry children and groceries […] This bike combines riding pleasure and utility requirements […] amazing stability […] we enjoyed riding it, it fits really well to urban traffic conditions. 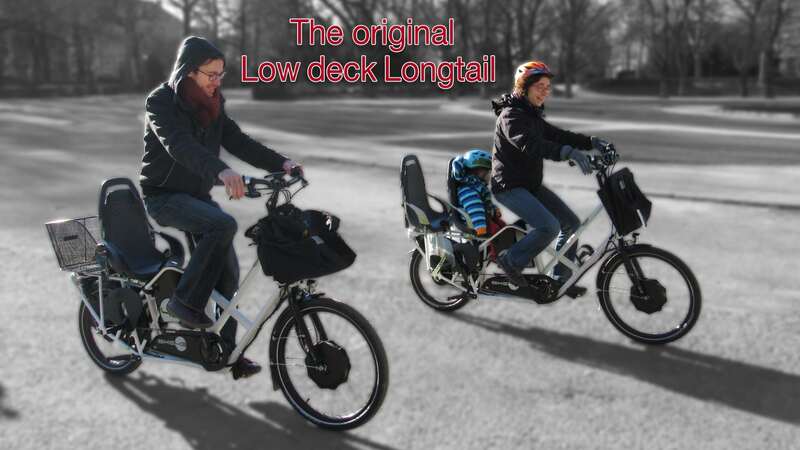 It could well compete with regular cargobikes […] this model is lightweight. The center of gravity is very low, the weight goes unnoticed. Having children onboard has no impact on the handling. 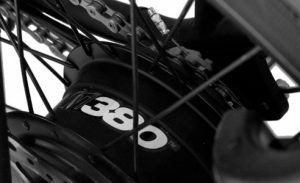 The Bike43 is the guarantee for fast, efficient and comfortable commutes. Totally matches our needs to carry our 2 children to school, go to work and to the groceries store. It rides just as a normal bike. It’s a great bike. It makes myself everyday life (2 kids) so much easier. Thanks for inventing it! 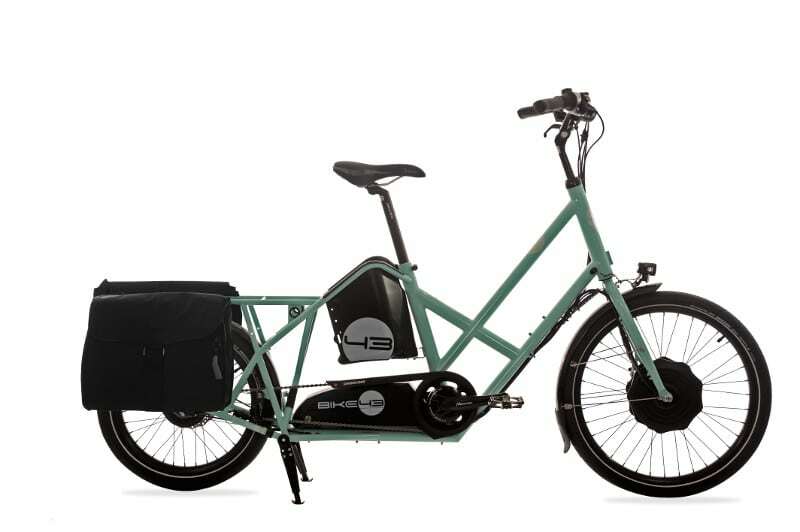 We’ve just been granted a slot in a Velo Boxx, very good point that the Bike43 fits in! Great! 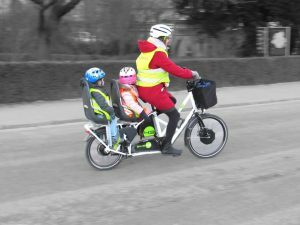 We live in Switzerland, there are quite some hills here, and our loaded Bike43 overtakes our unloaded Sinus Bosch regular ebike! Very compact, large cargo loading capacity, high stability even when loaded and at low speed. The motor is totally quiet.